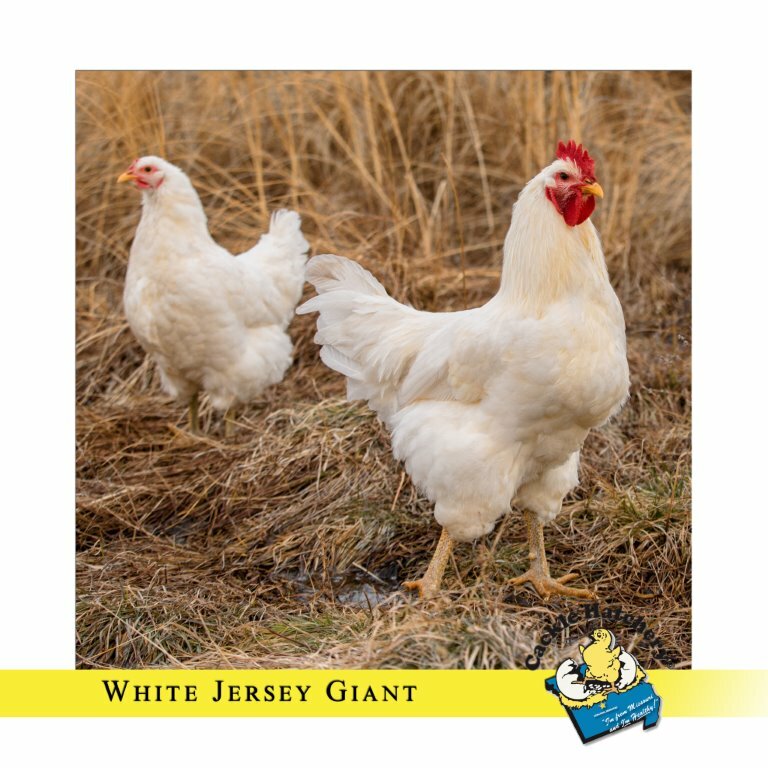 The White Jersey Giant chicken was originated in Burlington County in the State of New Jersey during the 1880's. 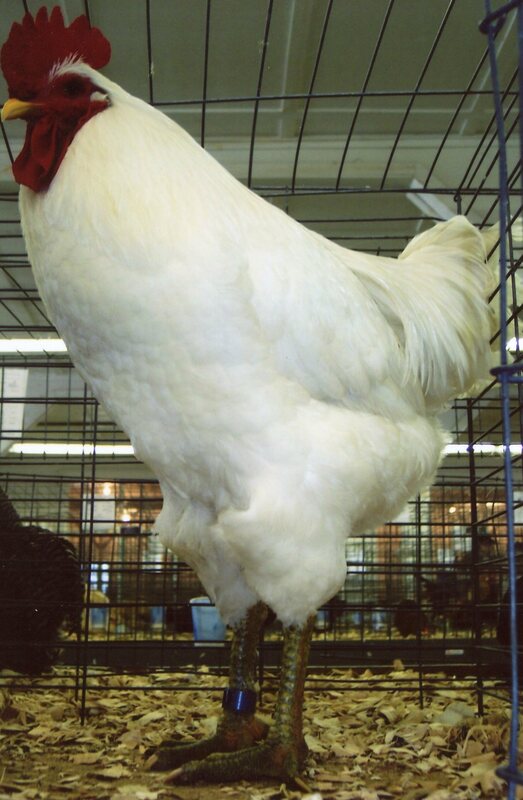 A good heavy breed but slower to grow than some breeds before surpassing them in weight and size. 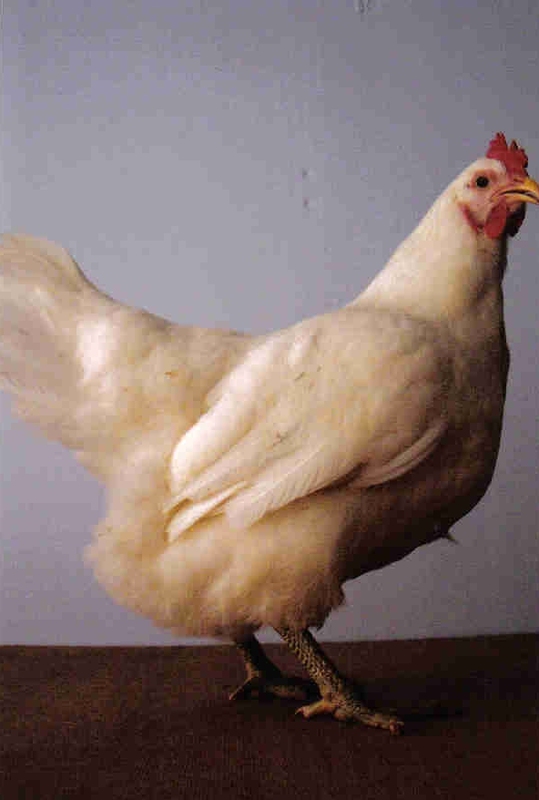 It is the largest of the dual purpose chicken and excels as a meat chicken. 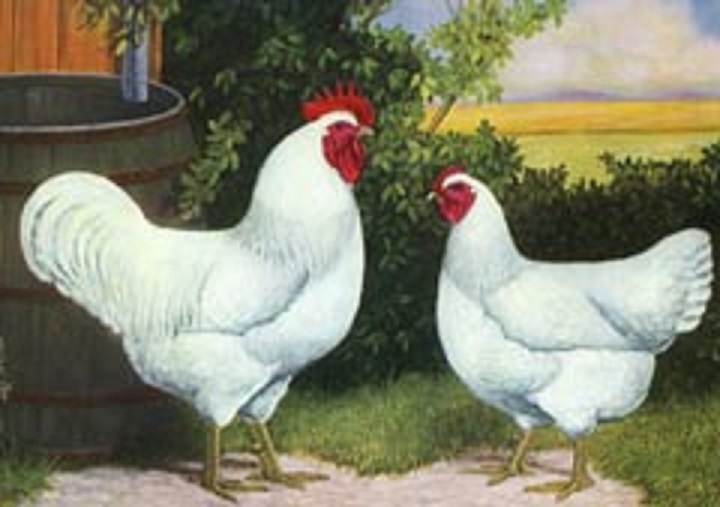 These chickens were admitted to the American Standard of Perfection in 1947 and both varieties noted for willow colored or nearly black legs and toes. 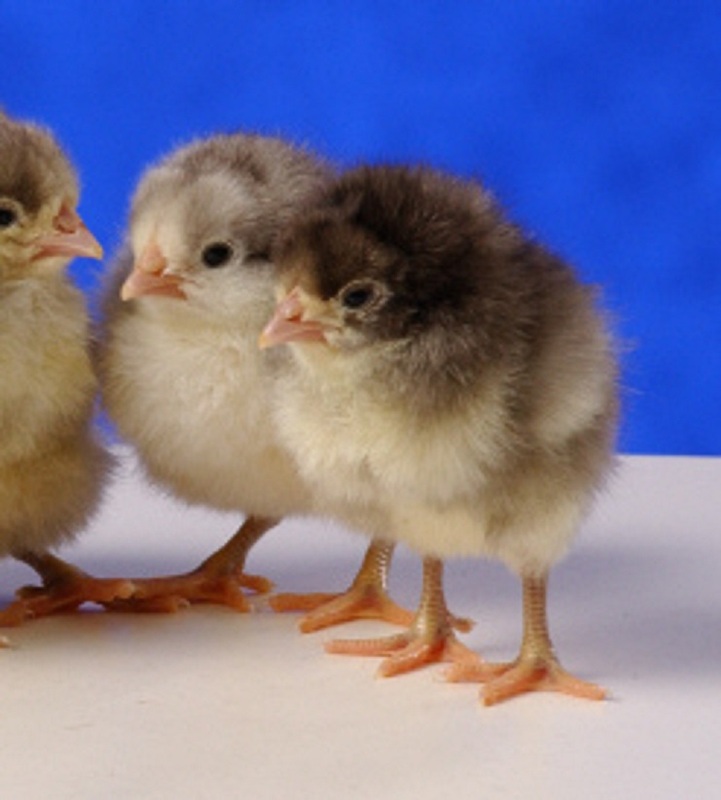 The chicks are Smokey gray but feather out white. 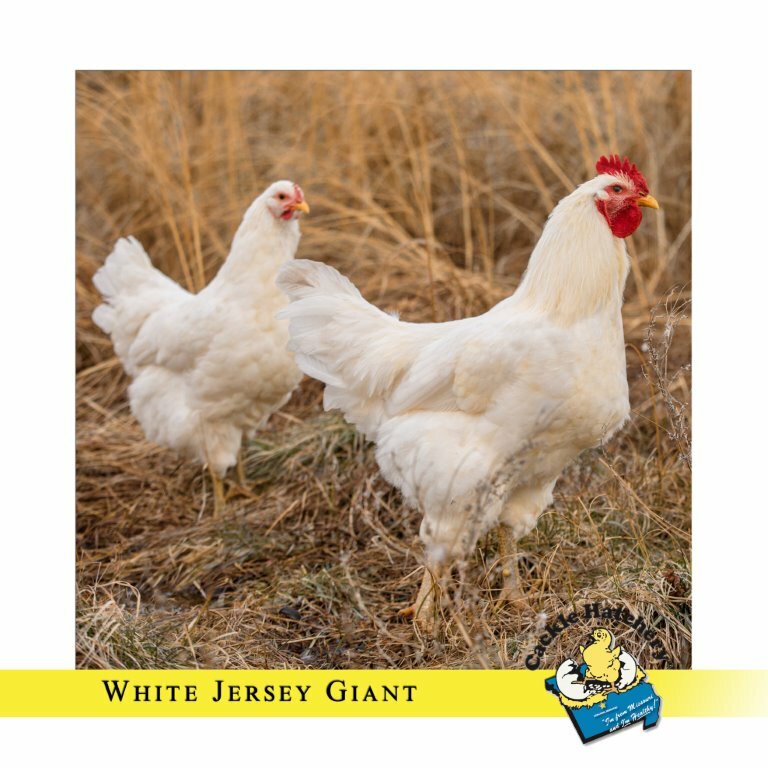 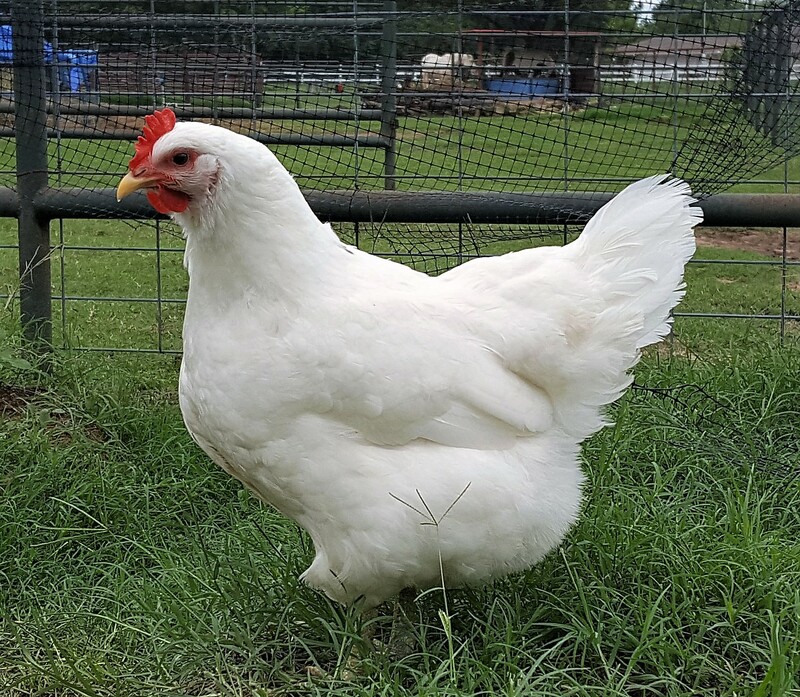 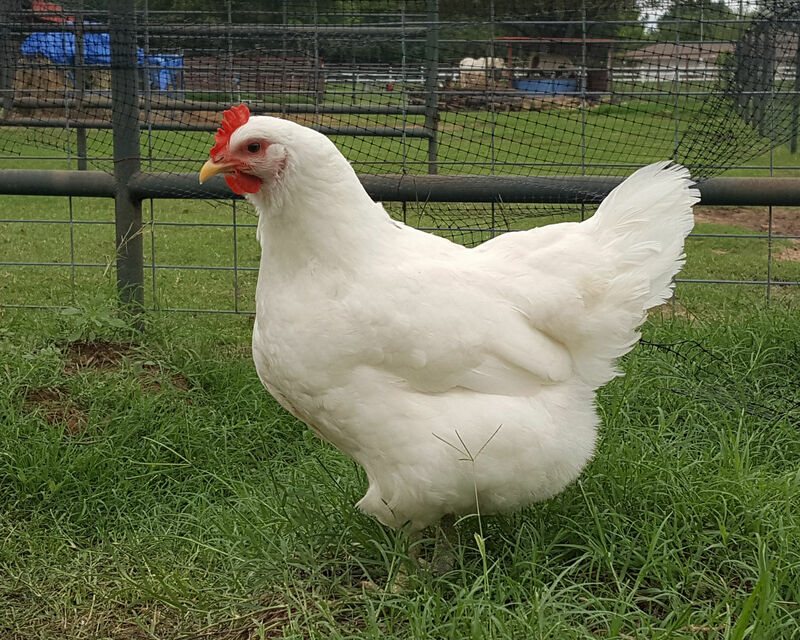 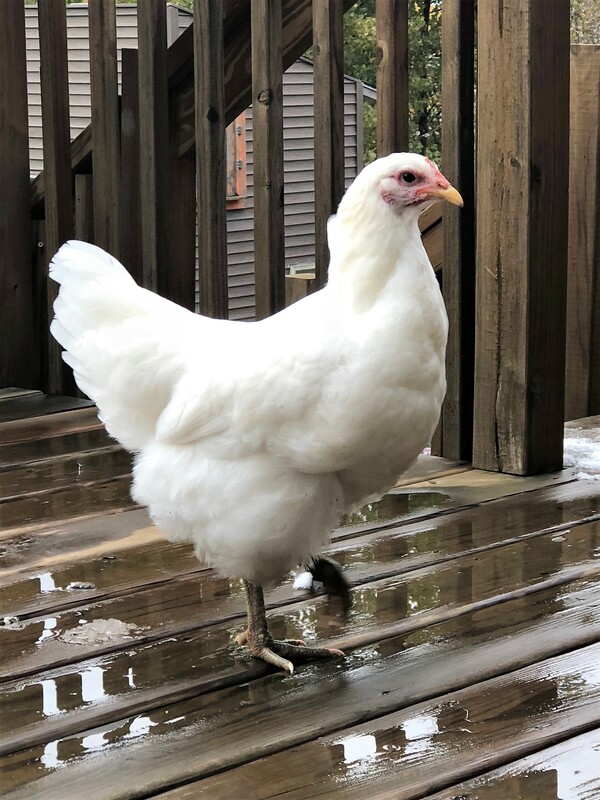 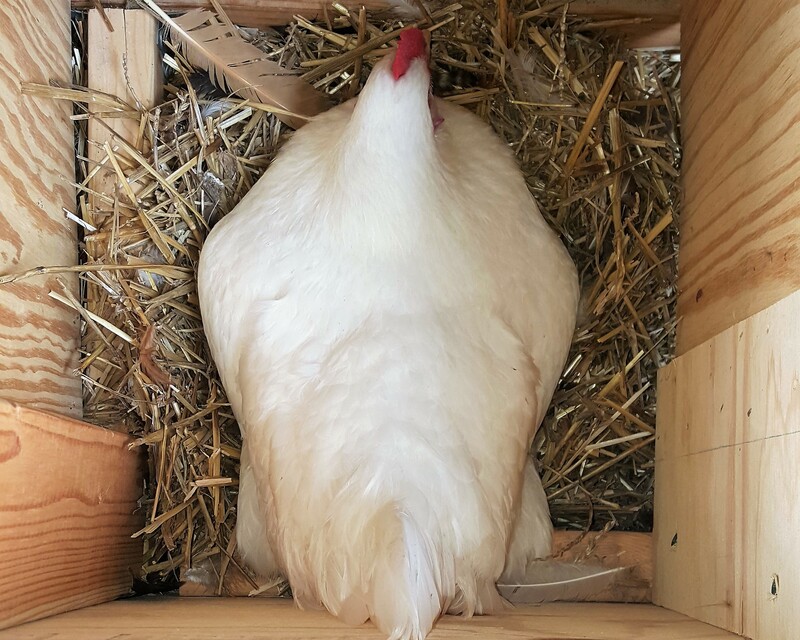 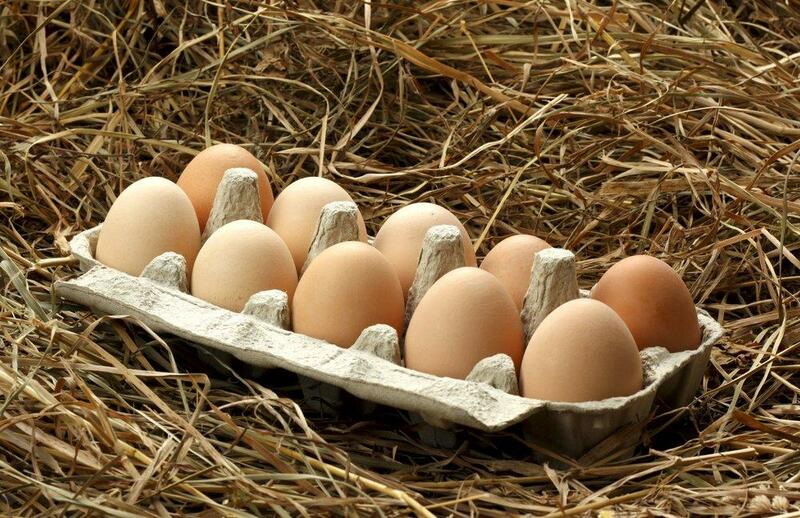 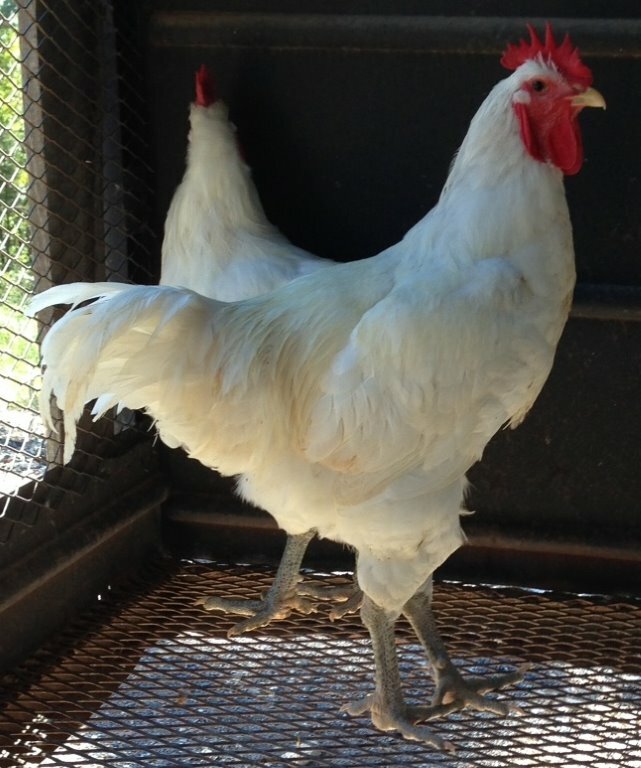 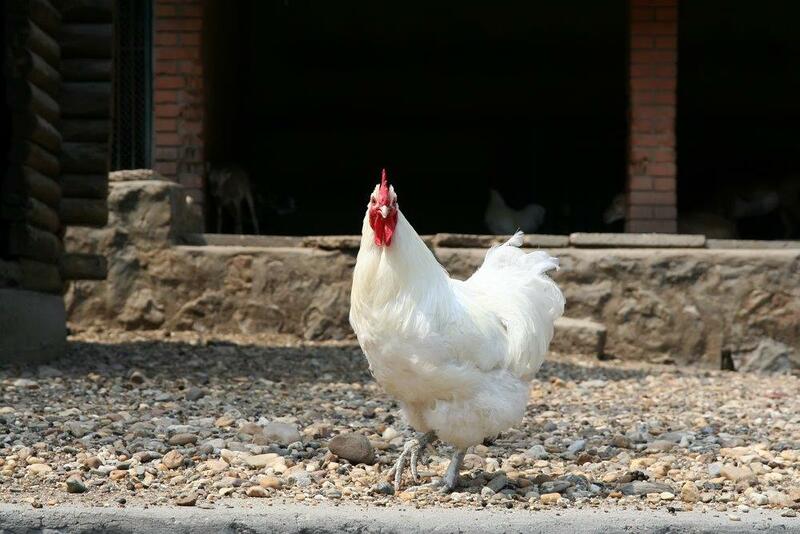 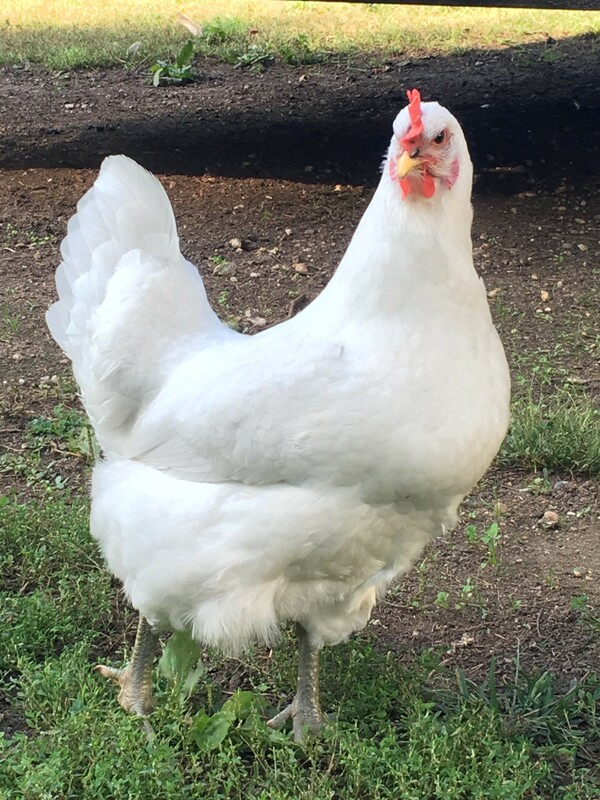 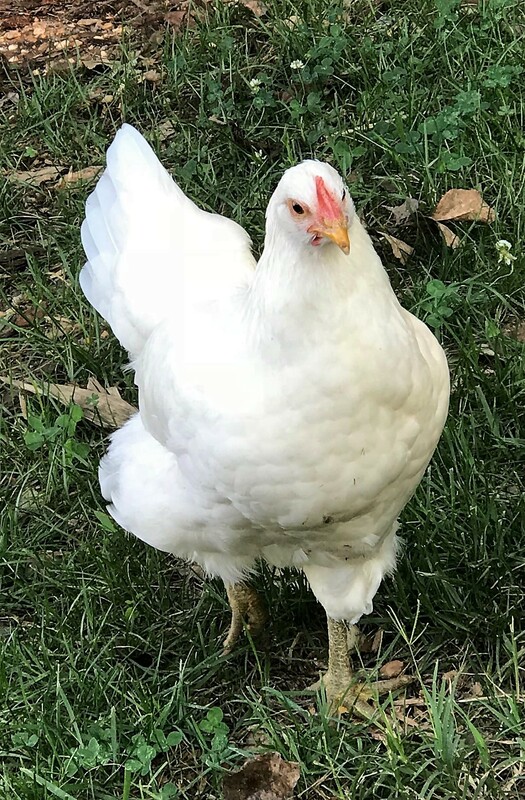 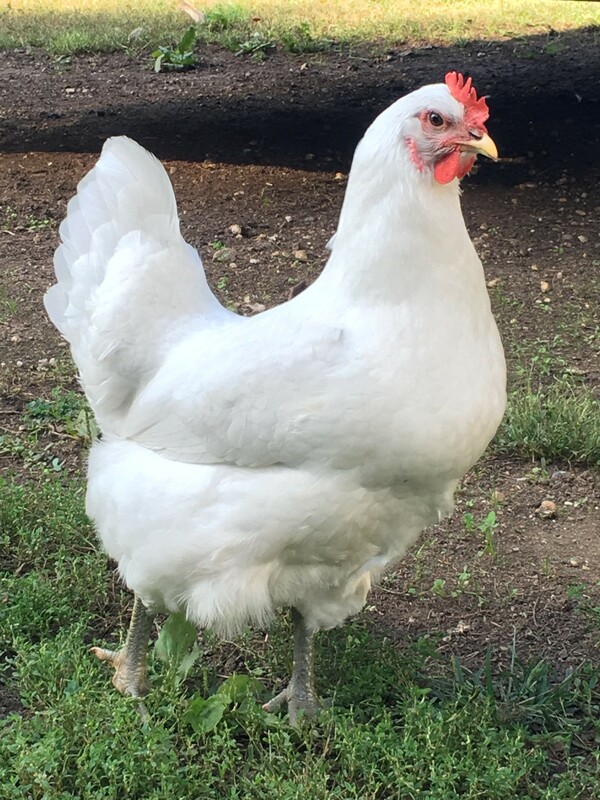 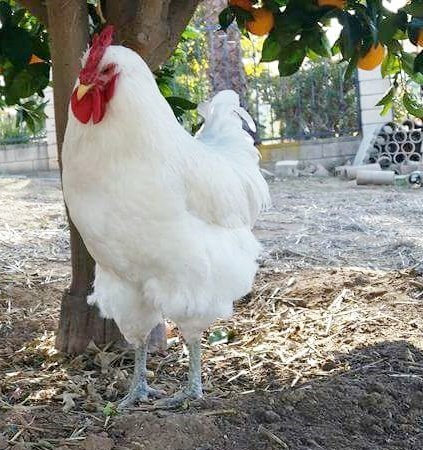 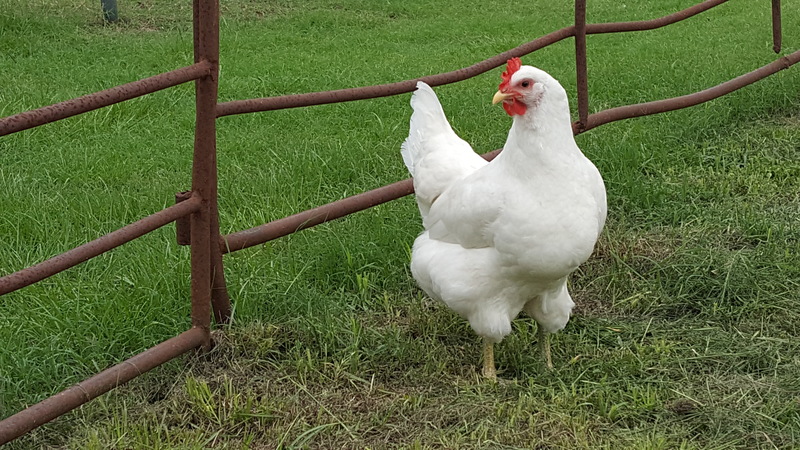 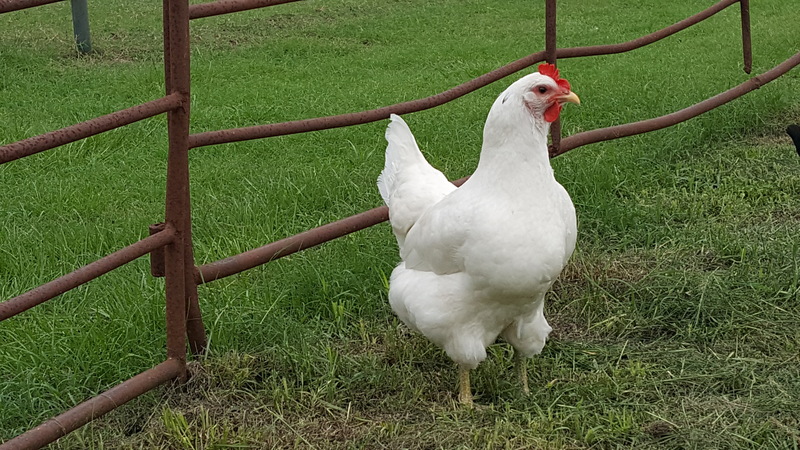 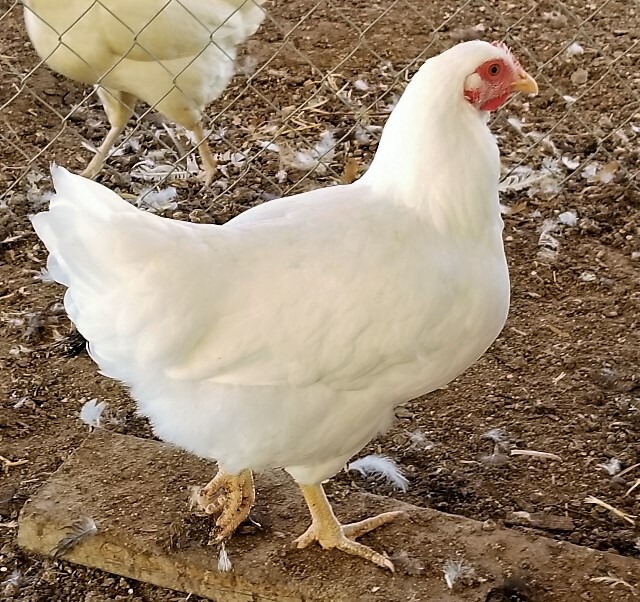 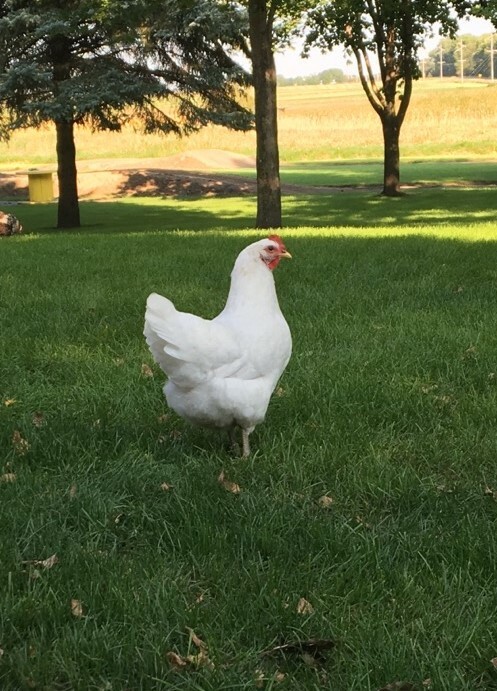 Breeder Farm Source: Cackle Hatchery® Poultry Breeding Farm has been developing our bloodline/strain of pure White Jersey Giant Chickens since 1982. 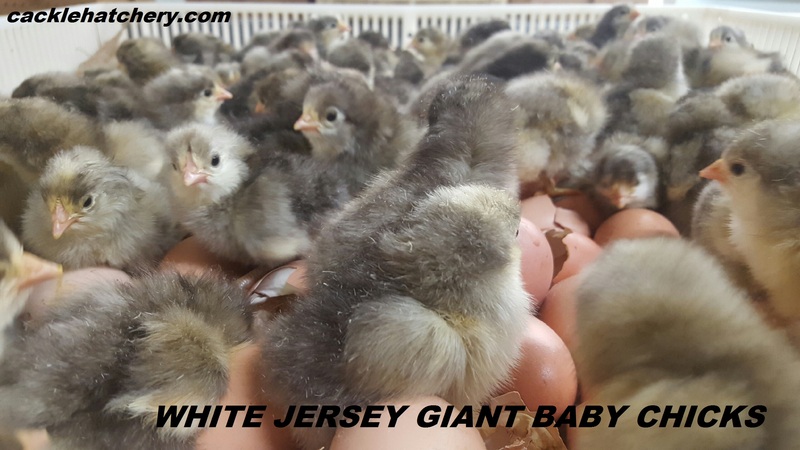 I was the proud owner of a White Jersey Giant (WJG) cockerel from Cackle back in April 2015 with my mixed flock of chicks. 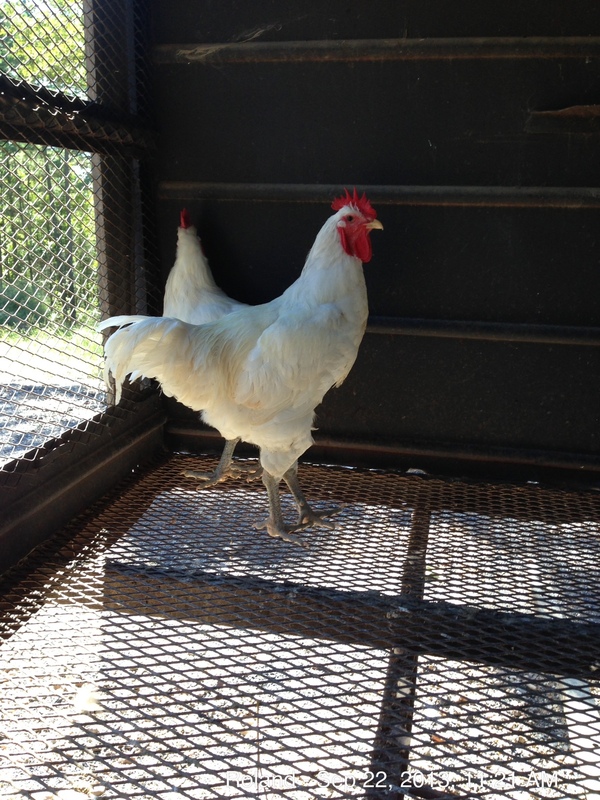 Unfortunately, his temperament and voice weren't per the standard. 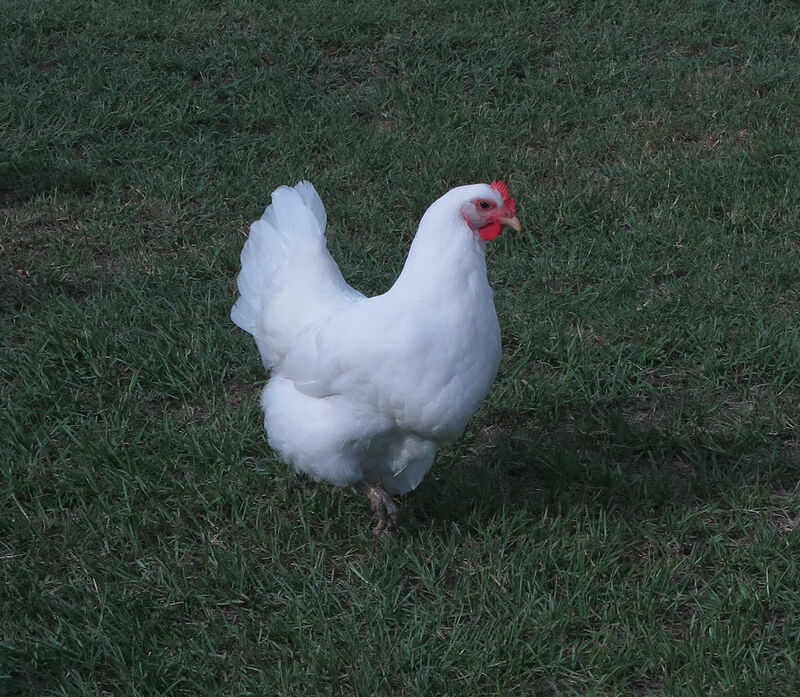 He was becoming stunningly beautiful, but with a squeaky, high pitched voice and the poor thing was terrified of everything. 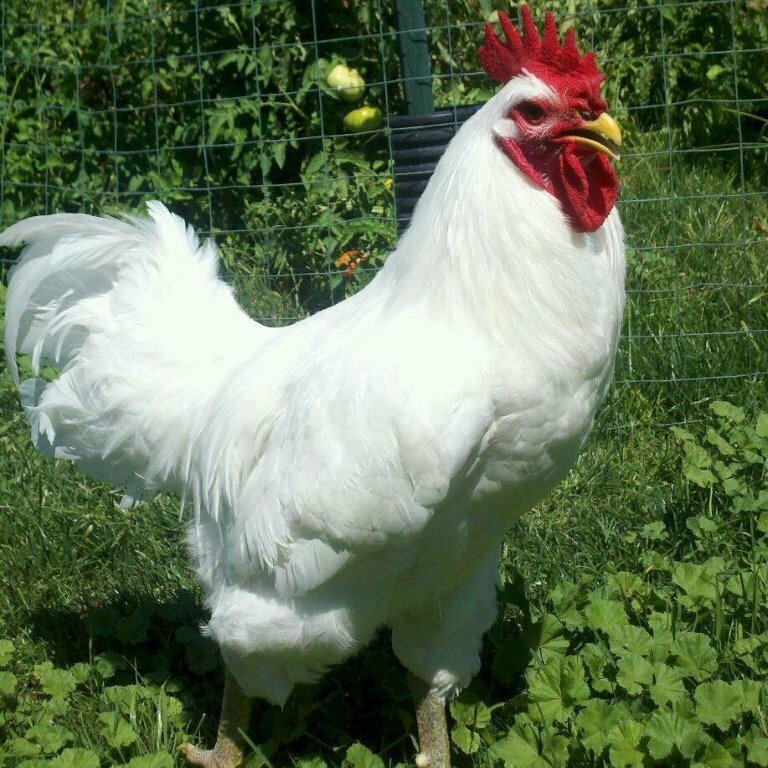 Later, it turned out he had a tumor in his throat and died at 8 and a half months. 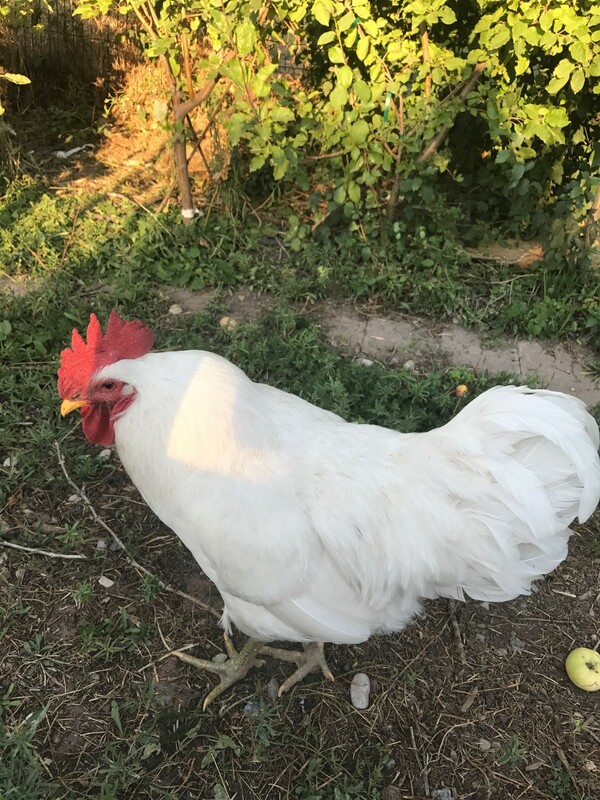 I'm hoping his condition was a fluke and I will have WJGs from Cackle again, as he really was developing into a beautiful bird and my other birds from Cackle of different breeds are doing very well.